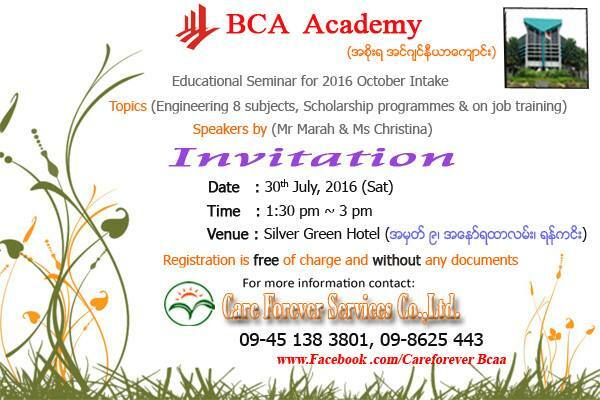 School opened in October 2016, BCA Academy of the Second Education Conference to be held in July (30) days at Yankin Township, near 12 Loan street traffic light, Anawrahta Street, Silver Green Hotel on the head of CARE FOREVER EDUCATION CENTER will be held. Pre-registered can attend free which documents do not have to. For more information, contact office phone and face book chat box can inquire.